FLINTface CD Giveaway | True Endeavors Presents: music, tours, tickets, mp3 downloads, concert pictures, videos, Madison WI. 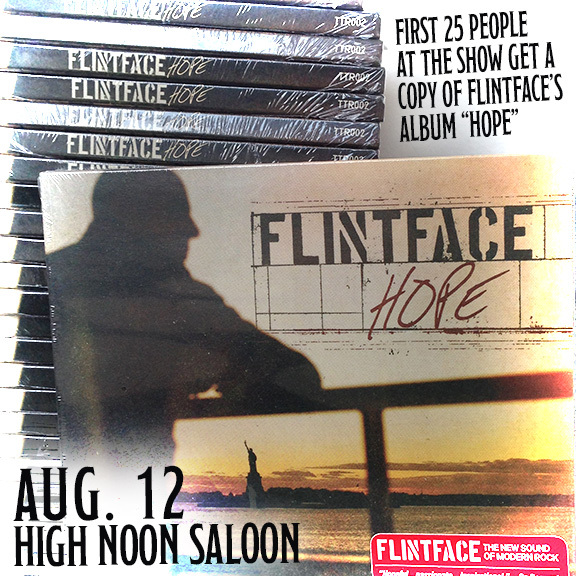 Are you looking forward to seeing FLINTface at the High Noon Saloon in just a few short weeks? Remember to grab your tickets now and show up early! The first 25 fans in the door will receive a copy of his soon-to-be-released album, Hope. Get that worm, early birds!